Originally published in this form in 1971, the content of this book was originally part of a larger composite volume ‘Water, Earth and Man’ (1969) which provided a synthesis of hydrology, geomorphology and socio-economic geography. 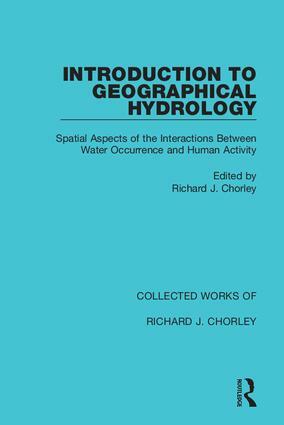 This volume brings together the systematic theme of spatial aspects of the interactions between water occurrence and human activity. Richard J. Chorley was known as a leading figure in quantitative geography in the late 20th Century and played an instrumental role in bringing the use of systems theory to geography. This set of 7 reissued works either edited by or written by Chorley offers a great wealth of scholarship on geography and geomorphology.